Today, March 8th is International Women’s Day, a day that began commemorating the anniversary of a women workers strike – and so perhaps it’s also being celebrated as A Day Without a Woman, another strike designed to call attention to how important women are to our society. But, science fiction writer that I am, I couldn’t help but think of literal day without women. One could think of it as an inversion of the story of Y the Last Man – except of course it would mean the end of the human world. Whether you believe the story of Genesis or the Mitochondrial Eve hypothesis, our species originated from a single mother – but new species arise when old ones go through population bottlenecks, so the children of X the Last Woman might not be a humanity that we recognize. But, proponent of woman’s rights that I am, I can’t also help but think that science fiction scenario is precisely the wrong way to think about women. It reduces them to the role that they serve for our species. It’s no more appropriate to reduce a woman to her womb than it is to reduce a man to his sperm – and the reduction is considerably more damaging to women, who’ve suffered millennia of discrimination at the hands of societies that often treat them like second class citizens, if not property – at least since biblical and Roman times, and possibly for all of human history. Well, in the early 1900s, women who were tired of that treatment banded together into unions like the International Ladies’ Garment Worker’s Union, organizing a series of strikes demanding better conditions and equal pay, starting with one on March 8, 1908. That strike might have been overshadowed in the history books by the much larger Uprising of the 20,000 in 1909 – but the Socialist Party of America was struck enough by it to commemorate it with a Woman’s Day in 1909, which blossomed into an international celebration by 1911. In 1914, International Women’s Day was held again on March 8, and it’s been held there ever since. Any doubters of the power of women to change the world should remember this: International Women’s Day kicked off the Russian Revolution. Leon Trotsky once said “we did not imagine that this ‘Women’s Day’ would inaugurate the revolution” – but it did, when women went on strike and took to the streets of Saint Petersburg, demanding “Bread and Peace” – an end to World War I, to food shortages, and the rule of the Russian czars – and kicking off the February Revolution. In the end, Nicholas II abdicated – and the newly instituted Provisional Government granted women the right to vote on July 20, 1917. At first, International Women’s Day was celebrated for decades primarily in socialist countries, but as it progressed, its focus changed more and more to focus on women in general – to the point that to hide its origins, some people even made up stories that International Women’s Day had an older history going back to 1847. But it’s wrong to distort history: we should no more strip International Women’s Day of its Soviet roots than we should try to hide that Sputnik launched from Tyuratam. Like orbit, gender equality respects no boundaries and is held back by no creed, and the United Nations began celebrating IWD as part of International Women’s Year in 1975 and giving it themes in 1996. Depressingly, many themes seem to recur, such as struggles against violence against women and struggles for gender equality – just as women marched for equality in 1908. Perhaps that’s why we needed A Day Without a Woman – to remind us of what we’d be missing in a world without them. Whether you took part in A Day Without a Woman or are just now finding out about it, it’s a good time to think back not just on the women in your life, but to think about them not just in their roles as women – as wives or mothers or daughters or sisters – but as people who are individuals, full members of our society with equal standing with all others. That’s not to say that there’s not a lot to celebrate about women in their roles as women (or men in their roles as men, or others in their role as others) – but we should never reduce or restrict any individual to their role based on their gender. Jeremiah Willstone would be shocked to hear that in 1908 women in our universe were leading some of their first major marches for women’s rights – and not just because, in her universe, 1908 was the year Jeremiah, as a female Senior Expeditionary Commander, led a mammoth military strike force in pursuit of her uncle and his stolen airship at the beginning of The Clockwork Time Machine. In our world, of course, Mary Wollstonecraft did not write The Equality of Man; she died a decade earlier, from complications in giving birth to Mary Shelley, future author of Frankenstein. We’ll talk about how Mary Wollstonecraft’s death was a great lost opportunity – and how she inspired the world of Victoriana – in a future post! 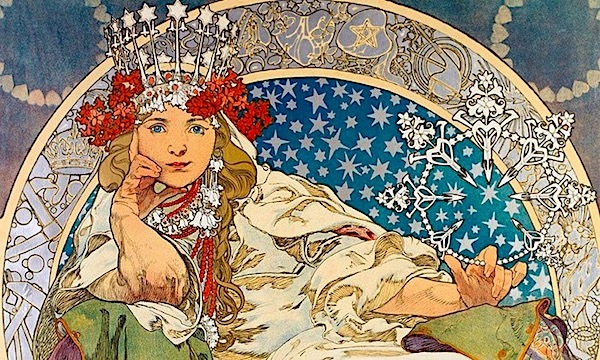 Pictured: Princess Hyacinth by Alphonse Mucha, a picture I have always admired for the strength and unconventional depicted in the figure, a daughter of a blacksmith in a ballet with ties to Czech lore. Image credit thanks to the users of Pinterest. The Clockwork Time Machine tells the story of Jeremiah Willstone, a female adventurer from an alternate world called Victoriana, where, because women’s liberation happened a century early and twice as many brains ended up working on hard problems, science has advanced more in 1908 than it has in our world today – but inadvertently, these scientific advances attracted the attention of aliens called Foreigners, who have come calling to make this world their own! 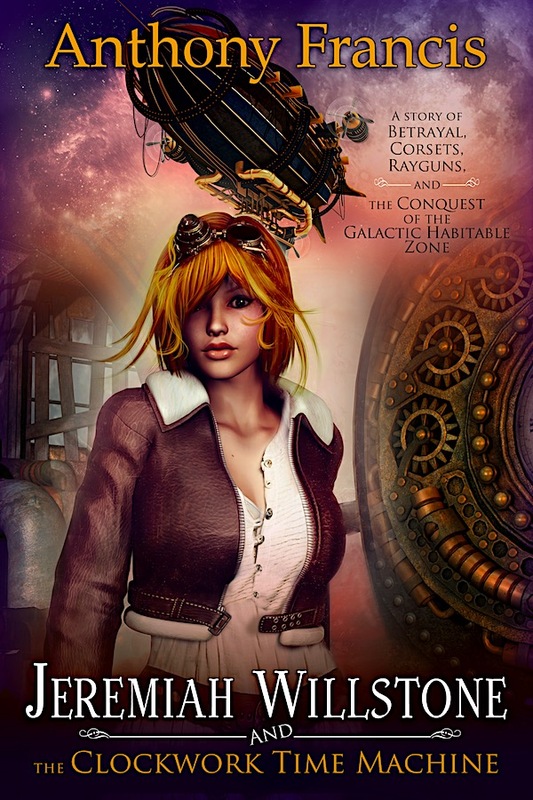 When Jeremiah’s treacherous uncle steals a dangerous alien weapon and secrets it away on an airship to a possibly hostile shore, Jeremiah leads a strike team to retrieve it – and finds herself chasing him across the seas of time itself, with her uncle just possibly aiming to upend the entire world order she holds dear! With time running out, Jeremiah must sacrifice everything she is to save everyone she loves. Jeremiah Willstone and the Clockwork Time Machine will be out next week – February 23rd, 2017! Order it on Amazon, review it on Goodreads, or ask for it wherever fine books are sold! Commander Jeremiah Willstone and her team must race through time in a desperate bid to stop the traitor’s plan to use the alien weapon to overthrow the world’s social order. With time running out, Jeremiah may have to sacrifice everything she is to save everyone she loves. Senior Expeditionary Commander Jeremiah Willstone of the Victoriana Defense League didn’t start out the way she appears in Jeremiah Willstone and the Clockwork Time Machine … her adventures began as a lowly cadet in Liberation Academy! Jeremiah grew up in a world where women’s liberation was a hundred years old, where aetheric blasters had been in use for half a century, rendering lethal warfare obsolete as of the War of Realignment that drove the American North back into the arms of the newly forged Victorian Empire … and where aliens called Foreigners started invading once we stopped killing each other! In this world, Jeremiah followed her mother’s example and became a soldier – a third generation female soldier, trained in Edinburgh’s Liberation Academy to take part in a war for the Earth against the forces of the Outside! 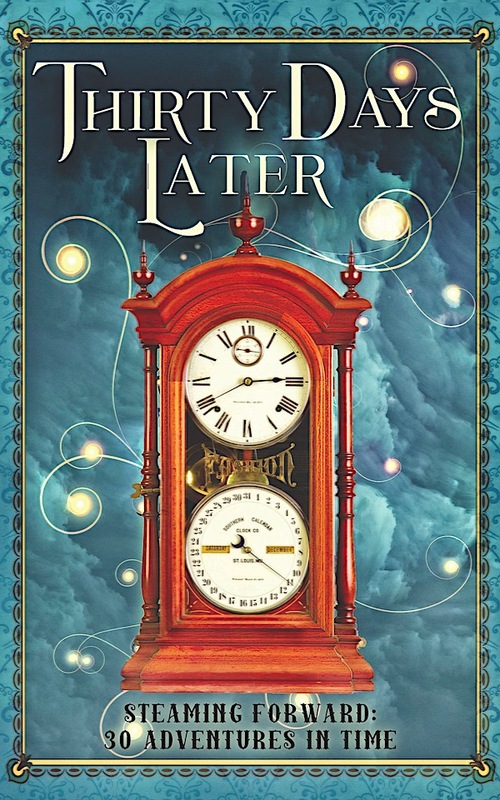 Her adventures in Academy are chronicled in the Plague of Gears storyline appearing in the anthologies Twelve Hours Later and Thirty Days Later (with major spoilers for Jeremiah Willstone and the Clockwork Time Machine, because time travel). Jeremiah graduated with highest honors and returned home to Boston to serve in the Eyrie, the Victoriana Defense League’s most elite site for defending the world against Foreign monsters; the first of her adventures here are chronicled in “A Choir of Demons” published in Aurora Wolf magazine and soon to be dramatized into radio theater. After climbing the ranks to Senior Expeditionary Commander – the highest rank a commoner can hold in the Victoriana Defense League – Jeremiah led her forces in pursuit of her uncle, Lord Christopherson, who stole a Foreign egg from the Arsenal of Madness and took it – and the advanced airship the ZR-101 – to Newfoundland in stories chronicled in “The Sorting of the Secret Post” and Jeremiah Willstone and the Clockwork Time Machine! 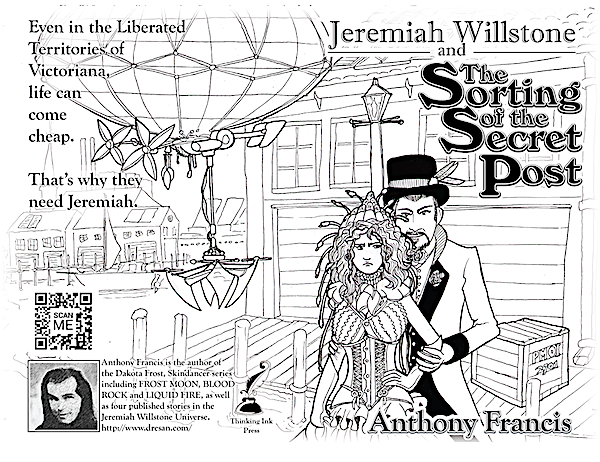 If you don’t mind spoilers on how that turned out, Jeremiah’s adventures continue in “Steampunk Fairy Chick” in the UnCONventional anthology, which, despite it being the very first Jeremiah story ever printed, is as of this writing currently the chronologically latest story in which Jeremiah appears. 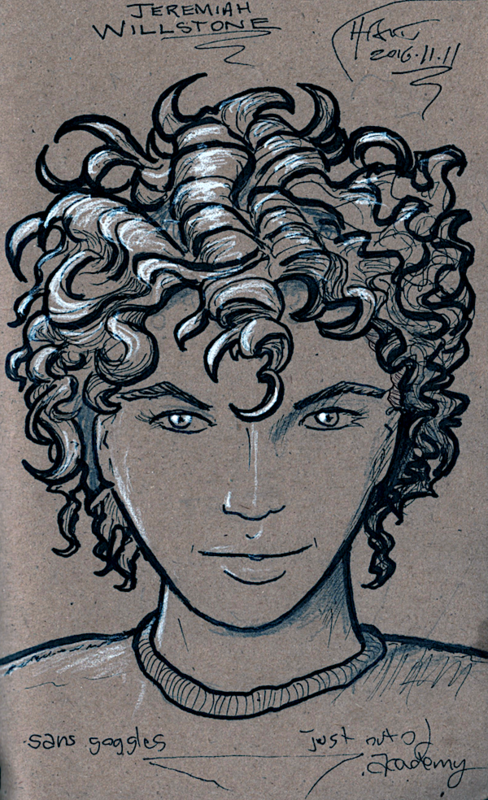 Jeremiah’s smart, intelligent, feisty, and a little bit full of herself, though life often conspires to shave off some of the burrs. She studied as a mechanical engineer and later as a matahari (think a female Victorian James Bond) and as a soldier, but her real genius just might be as a Commander, if she’d ever pause long enough to let herself think. For Jeremiah, it’s never a bad time for goggles; not only do they protect her eyes from the actinic rays of her beloved Kathodenstrahl blasters, they look quite fetching on her, if she does say so herself! On the dark, misty streets of Providence, the night dispatcher of the Secret Post at first thought he’d found an obsolete computer—her worn crinoline dress frayed to the point of tatters, her ill-fitting corset losing its ribbing, her aging vacuum-tube crown cracked and battered. But as she staggered closer, her disheveled hair, her addled gaze—and the basket of illicit coca puffs crooked in her elbow—told the night dispatcher he’d found the perfect thing to warm his cold watch on the dockyards: a tube junkie desperate for her next fix. “Well, aren’t you a sweet treat yourself,” said the younger guard, leaning in to look. “A girl does what she has to,” she said, leaning towards him—smelling of faded perfume, not grime. Her hair was greying, but a few gleaming copper threads still poked out of the thick mass, and the face beneath it, while dirty, was not too lined—pretty, for a worn street beggar. The computer laughed as the older guard took her arm, wobbling unsteadily on her feet as the younger swept a coil-wand over her. It zzowed as it swept over her corset and crown, but other than that, the most metal she had on her body were her copper bracelets. “I wouldn’t say that,” the older guard said, looking disgusted—but also popping a puff. To read more, visit Anthony at conventions, or ask for it from Thinking Ink Press! 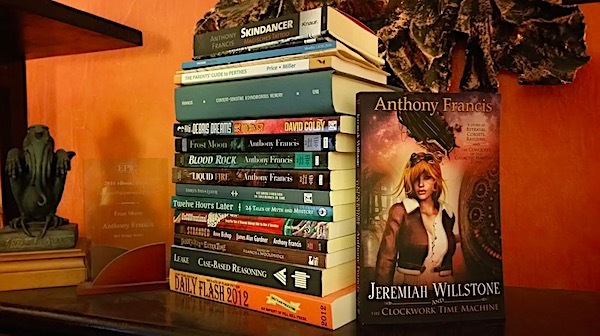 Jeremiah Willstone’s very first published appearance was in “Steampunk Fairy Chick” in UnCONventional: Twenty-Two Tales of Paranormal Gatherings under the Guise of Conventions. There’s no other way to put this, folks: “Steampunk Fairy Chick” has MASSIVE spoilers for The Clockwork Time Machine, so be advised! 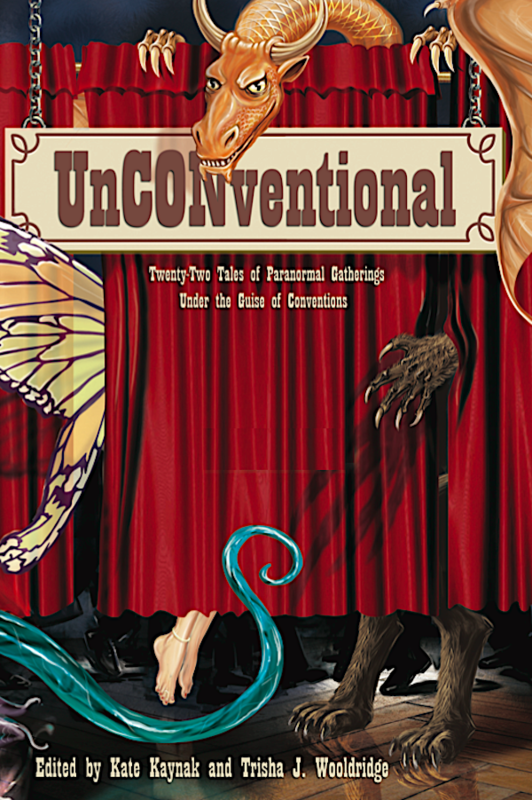 Buy UnCONventional on Amazon or ask for it wherever fine books are sold! “The con’s not the real reason we’re here–that’s just the cover story. Alien ascensions in hotel ballrooms. Mermaids on cruise ships.Werewolves in dog shows. Steampunk fairy time travelers. A teenage superhero hitching a ride with a supervillain. Comic books that absorb their readers. Magical filk… and much more. With stories by: LJ Berger, Vikki Ciaffone, Daniel Cohen, Gordon Dupuis, Anthony G. Francis, Jr., Justine Graykin, Randy O. Green, Melina Gunnett, Kate Kaynak, Danielle M. LeFevre, Kimberley Long-Ewing, Lauren Marrero, Will Morton, Linda Murphy, Ira Nayman, KT Pinto, Jennifer Allis Provost, Patricia Puckett, Keshia Swaim, Sherry Thompson, Pamela van Hylckama Vlieg, and Trisha Wooldridge. Liberation Academy Cadet Jeremiah Willstone returns in “The Fall of the Falcon” and “The Rise of the Dragonfly” in the second exciting anthology in the “Later” series, Thirty Days Later, Steaming Forward: Thirty Adventures in Time! As before, the second story has spoilers for The Clockwork Time Machine, so be warned if things get a little timey wimey Thirty Days Later! Buy Thirty Days Later on Amazon or ask for it wherever fine books are sold! Bringing you steam, noir, revolution, and a Sasquatch, the creators Twelve Hours Later are back with a vengeance, and a lot can happen in thirty days! Featuring Hugo Award winning author and master of alternative history, Harry Turtledove, Thirty Days Later will have you on the edge of your seat and ripping through pages, racing to find out what happens next. “The creators of Twelve Hours Later continue to promote literacy one sensational story at a time by donating a portion of their proceeds to literary charities, but no boring works with fluffy kittens here. Not a one! Where else can you find spycraft and sea serpents, cloud cities and ghosts, romance, witty banter, and worlds of wonder in one place? These are stories to relish and read under the covers into the wee hours of the morning. They’ve done it again-Full marks!” Penelope Dreadfulle, Literary Reviewer for the Blackfriars Courant. The first novel in the Jeremiah Willstone universe, Jeremiah Willstone and the Clockwork Time Machine is a sprawling tale of brass buttons, ray guns, and two-fisted adventure! Or ask for it wherever fine books are sold! In an alternate empire filled with mechanical men, women scientists and fantastic contraptions powered by steam, a high ranking officer in the Victoriana Defense League betrays his country when he steals an airship and awakens an alien weapon that will soon hatch into a walking factory of death. 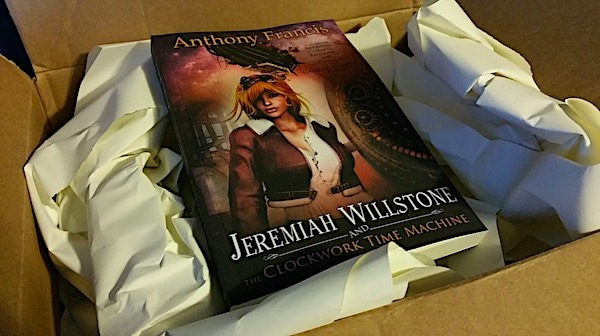 Cover Reveal: JEREMIAH WILLSTONE AND THE CLOCKWORK TIME MACHINE! At long last, here it is: the cover of JEREMIAH WILLSTONE AND THE CLOCKWORK TIME MACHINE!